This past week, we saw a modern tribe in action as local government leaders from around the country gathered in Reno, NV for the Alliance for Innovation’s 25th Annual Transforming Local Government Conference (#TLG2019). Among the many themes from TLG, the importance of peer support and learning, finding avenues for concrete action, and building an inclusive community stand out. Here are the key highlights. The warm, friendly atmosphere among local government attendees was immediately apparent at TLG. There were flurries of handshakes and hugs, inquiries about smart projects, legislation changes, and challenges—crossing the divide of different cities and departments. One attendee described the feeling of relief this conference instills, being surrounded by a group of people who “just get it.” She spelled out the contrast between discussing day-to-day challenges with TLG’ers versus a close friend, or even a spouse. With TLG, she finds instant understanding, shared endeavors, and connections to return to for support when enacting change. Most of all, unlike general lamenting, the Alliance actually provides solutions to help communities address, implement, and improve the status quo. Joel Carnes, President and CEO of the Alliance for Innovation, encouraged attendees to utilize TLG as a connecting point for this tribe of innovators—a place where leaders are supported in their quest to achieve efficient government operations and elevate communities across the country. The Alliance’s forthcoming Innovation Leagues is a specific part of this vision, mapped out as a network of regional bodies comprised of city leaders, universities, technology companies, and other stakeholders who all have the shared goal of helping their region reach its full potential. The Alliance facilitates peer-learning between members who want to address a certain issue and members who have already excelled in that area. To showcase how this works, The Alliance pre-selected teams from cities to present to their peers at TLG on how they achieved certain successes. Bloomington, MN, for example, shared how to work outside of the traditional org chart to strengthen workplace cohesion. Attendees raved about the presentation, filling the conference app with photos and highlights. Back in 2016, the Alliance created their Corporate Partner program with the express intent of connecting local governments directly with the latest private sector technology and innovation companies committed to push meaningful member initiatives forward. At TLG, Corporate Partners contributed to the knowledge base with Learning Labs—hour-long sessions focused on municipal education and processes improvement. 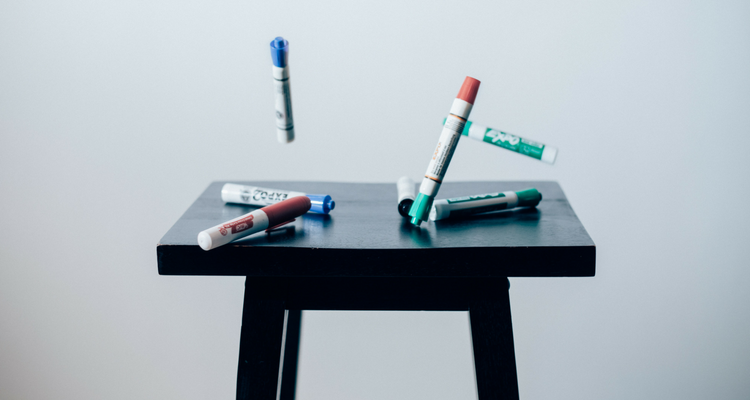 We teamed up with NIC to share three innovations to eliminate pain points in technology procurement, helping navigate a necessary process many Alliance members find particularly frustrating. In addition to new procurement strategies, the session focused on shifting away from the traditional vendor/customer dynamic that is a one-time transaction. Instead, local government leaders should seek out value-based partnerships with modern companies dedicated to relationship building. This creates a feedback loop to continuously improve government services. TLG attendees gather in Corporate Partner Alley to learn about the latest govtech innovations. Rounding out these pre-slated Learning Lab and peer support sessions, the Alliance also offered an additional “unConference” track where attendees got to brainstorm common areas they were keen to discuss and vote on their favorites. The top ten became dedicated breakout sessions throughout the conference. Topics spanned artificial intelligence & customer service, data dashboards & how to utilize them, infrastructure for aging populations, and project prioritization through the lens of equity. After the conference, The Atlas, an online government marketplace and this year’s TLG Technology Partner, will enable these conversations to continue remotely— helping government leaders find best-fit technology solutions to help their communities thrive. The “unConference” schedule, which was determined by TLG attendees throughout the event. For the “doers” in local government, The Alliance for Innovation’s Annual TLG Conference provides a safe space to build an extension of their modern tribe. Leaders connect with other leaders from cities across the country and the knowledge transfer that occurs between sessions, learning labs, and conference networking provides a strong foundation for innovation between public and private sector partners. 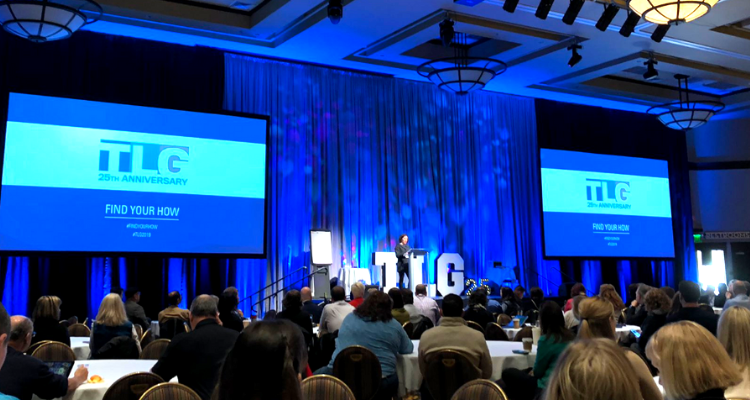 If #TLG2019 was any indication of the progress that can happen in just two days, we can’t wait to see how the TLG Tribe evolves throughout 2019 and into next year’s conference in Phoenix, AZ. Far too many government staff members find their daily workload bogged down by inefficient and unintuitive processes and tools. 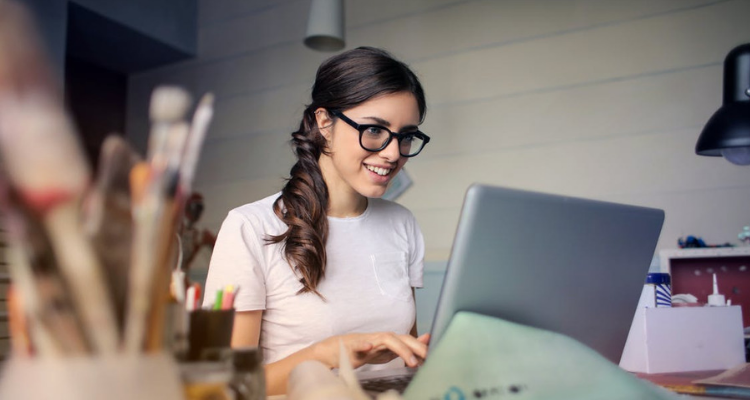 Whether it’s trying to physically deliver paper documents and manually track applications, or using outdated software that doesn’t quite fit your needs and makes collaboration difficult. Local governments everywhere are realizing that decades-old tools are no longer cutting it. You’re an entrepreneur looking to open a food truck in your city. You vaguely recall where City Hall is, but haven’t interacted much with your local government. Your idea for a business spurs the first real introduction. What do I need to do to legally operate my business? This article was authored by John Covey and originally published in the Alliance for Innovation’s Solutions Journal. Having worked in the technology field for the last 36 years, John currently serves as the Chief Information Officer in Shrewsbury, Massachusetts. 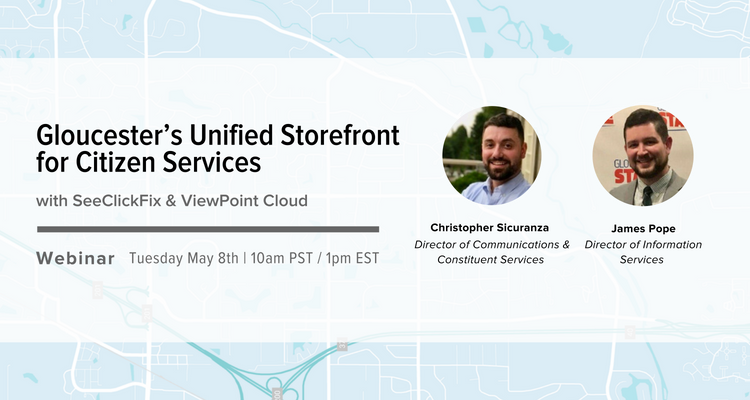 As a civic technologist, he supports ViewPoint in continuously improving ViewPoint Cloud, bringing modern permitting services to more forward-thinking local governments like the Town of Shrewsbury. Renewing licenses can be a pain for applicants, but is often especially frustrating and tiring for department staff members. 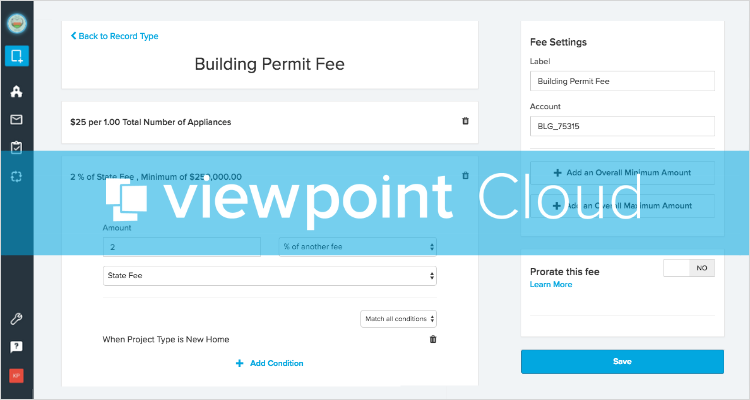 Listening to feedback from our customers, we heard common pain points like identifying licenses that are up for renewal, notifying applicants, and processing large influxes of renewals applications in a short time period. 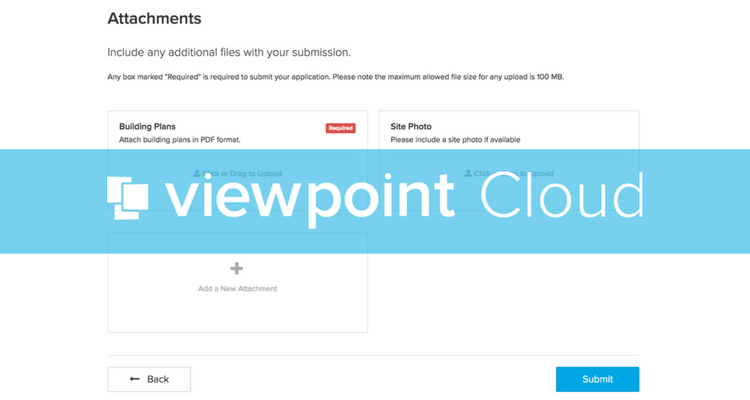 Using what we learned, we designed ‘Campaign Renewals’, an all-new feature of our newest platform—ViewPoint Cloud3. Imagine you’re a government official in the City of Parkview and you oversee permitting and licensing fee collection. 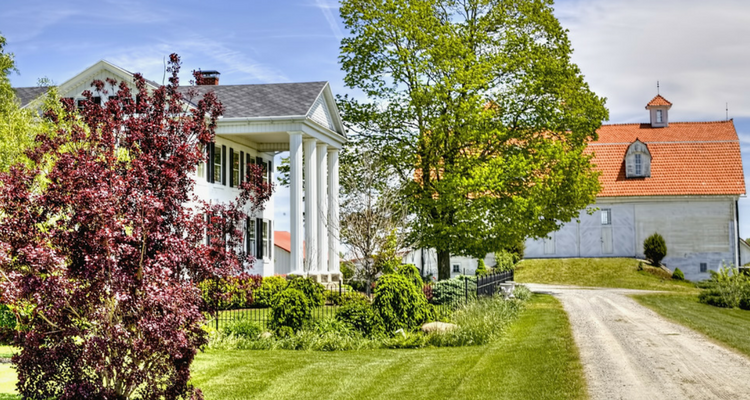 Some projects require multiple permits like building, electrical, plumbing, and mechanical—the cost of each can vary according to the specifications of the project, and they may even be interdependent on one another. Inspection capabilities are crucial when it comes to the health of municipal permitting and licensing processes. Building codes serve as the tentpole for ensuring physical public safety, but they’re only as valuable as a municipality’s ability to conduct quality inspections and ultimately confirm compliance. 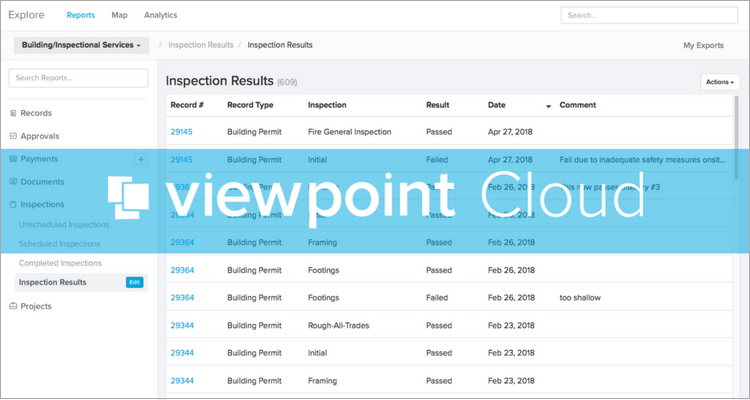 This is why the upcoming release of the new Inspections feature in ViewPoint Cloud is taking the product to the next level. Casey is a local entrepreneur looking to open a seafood restaurant in the City of Park View, USA. She has her business plan mapped out, but even so, the permitting process for her restaurant remains a daunting task. Park View has a website, but it’s unclear which forms she needs and which departments should be involved. The process feels unnecessarily slow and cumbersome. Her government feels disconnected and inaccessible to Casey’s ambition for development. 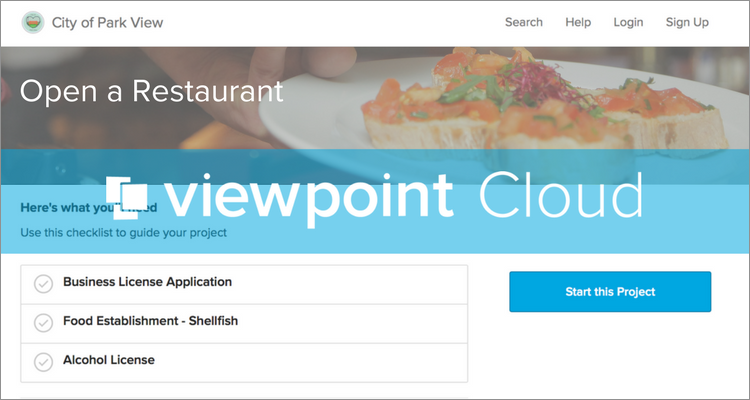 We’re constantly introducing new features in ViewPoint Cloud to help improve the way you work. 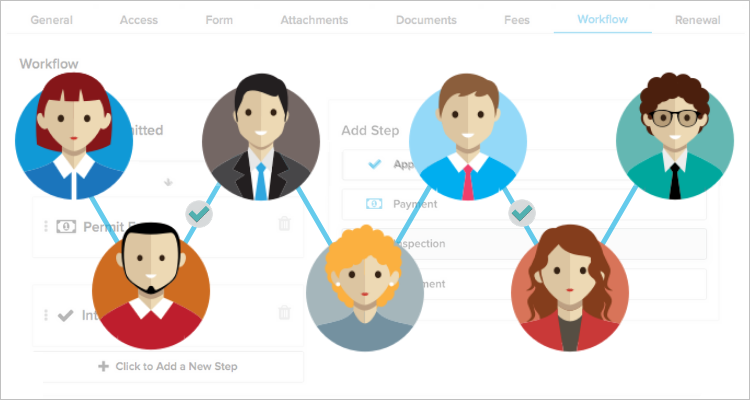 The new Required Attachments feature lets department staff designate required or optional files to be included with each application of a given type. 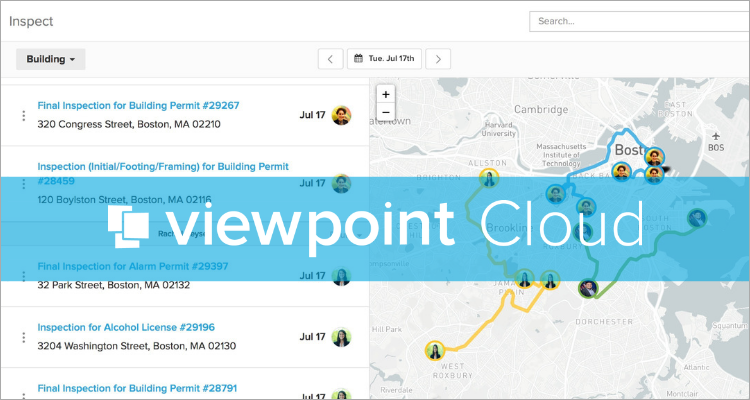 ViewPoint Government Solutions is excited to announce that Santa Clara Valley Transportation Authority (VTA) has selected ViewPoint Cloud to bring modern, user-friendly permitting to the agency. 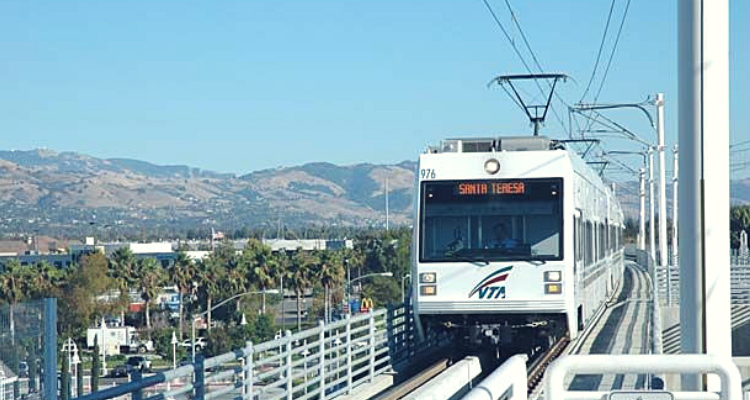 VTA will be using ViewPoint Cloud to manage construction permitting in and around their transportation hubs, furthering their mission to provide community-focused transportation options that are innovative, environmentally responsible, and promote the vitality of the region. Over a hundred years old and situated next to Ohio State University, the community of Upper Arlington, Ohio has seen recent rises in property values spurring new development, and in turn, permitting and licensing requests. 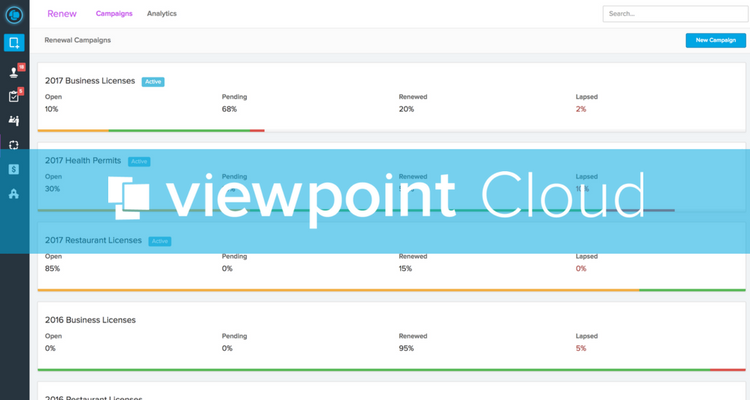 This month’s launch of ViewPoint Cloud 3 includes a new and improved reporting engine. Whether you want see what tasks are assigned to who, export a monthly report, or find records that have outstanding payments, Reports provides an adaptable, intuitive interface for surfacing that information. 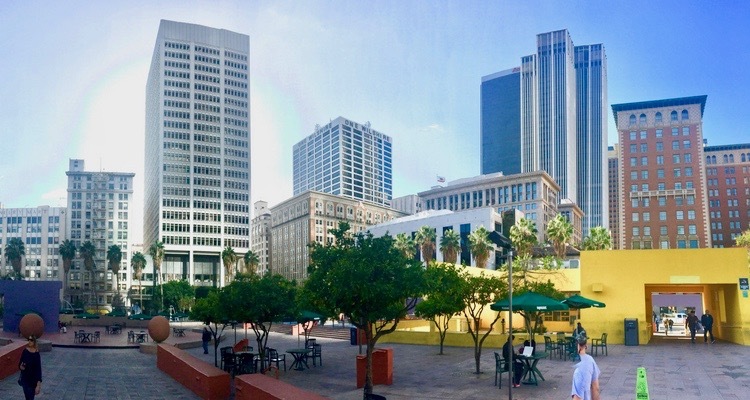 ViewPoint Government Solutions is excited to announce the opening of their new Los Angeles office. This move is a reflection of their continued growth in the govtech field of online permitting as well as the hotbed of forward-thinking governments in California and on the West Coast. 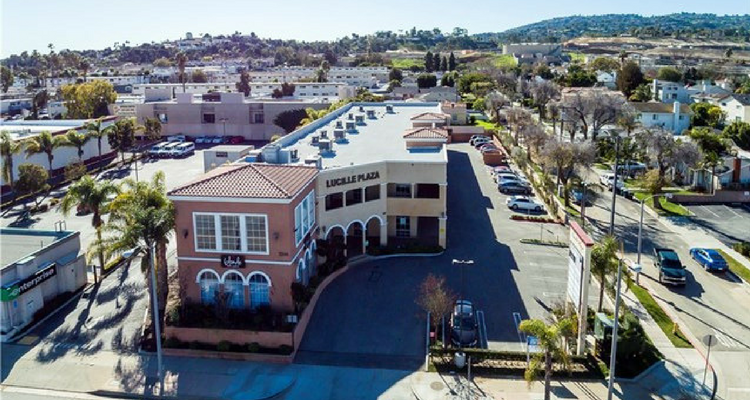 Two years ago, the City of Lomita’s Community Development Department found themselves looking for a better way to manage their paper-based permitting system.